NRHM Recruitment 2018: The National Rural Health Mission Department J&K wants to recruit employees on vacant seats. The Application form has been started from September 2018 on the official website. The candidate can download an application through the official website. This is a Medical Job opportunity for those candidates who want to receive Clinical Psychologist and Psychiatric Social Worker Posts. 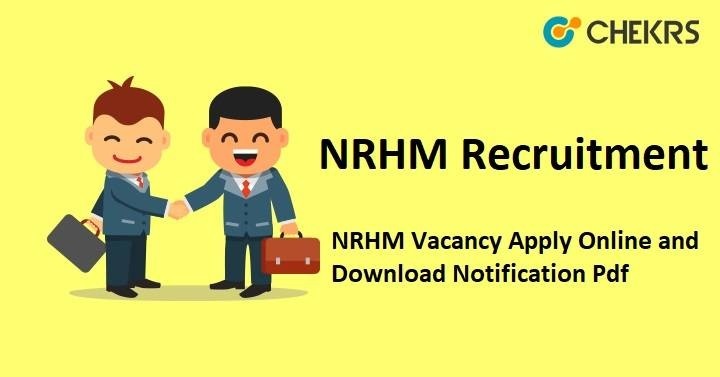 Candidates who want to apply for this job can get information about the NRHM Recruitment 2018 Notification, the number of vacancy details, the name of the post, the beginning of the application letter and the last date, workplace, official website link. Firstly the candidates go to the official website of J&K NRHM. Before applying for an application, The candidate must read Notification PDF carefully. Click on “Career” button and Select “Advertisement for contractual hiring of various posts under NMHP” Link. Download the Application Form and Attached required documents. Now send the document to the postal address of NRHM. Remarks: The Candidate who wants to information about NRHM Recruitment 2018, they can visit our website. If you have any query about NRHM Recruitment that you can write comments on commenting box and take a review or feedback.